Its possible ''Dead time'' might sound strange. ''Dead time'' are the small pockets of time spent while waiting in offices, waiting in airports, waiting before a lecture, waiting for the bus and e.t.c. I meet such situation frequently and discovered that the time is spent mostly with social media and playing games on devices. 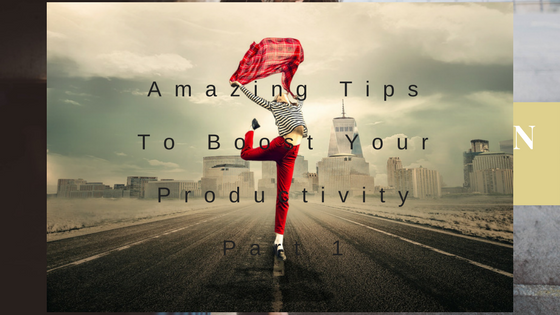 Instead, be productive at the moment dead time begins by engaging in activities such as reading things that will help in your business and increase the efficiency of your daily tasks. Break period occurs frequently at work. Now don't eat lunch in your office. Use the lunchtime to rejuvenate, refresh and really take a break. A very easy way to do this is by getting out of the chair and out of that room. After lunch, you will be more productive because you have renewed your energy. This is very important of all. Prioritize your time by removing the unnecessary task. Yes its possible if you schedule your day. In this way, your time and focus is directed towards where you will make great impact. Having this particular temptation is usual especially if you are online. There a lot of distraction online, from news to gossips, to videos. However, you can still have the controls by crippling such technology. This can be done through restricting access to these distracting sites while online. The main idea is to complete your task before they become urgent. And the only way to do this is dealing with the least urgent task first. Doing this helps you zap into the flow once you are back because your brain craves completion at that moment. The benefit of break can't be underestimated. This is actually a tip from Hemingway, he always left the last sentence unfinished, so he could pick up again easily the next session. Sometimes we find ourselves trying to carry out different activities at the same time. Sadly though, multitasking cuts back on your productivity. So rather than juggling different projects at once, focus on one thing at a time, scheduling out time to concentrate on one task. Now I must say these tips is applicable across the different lifestyle of people. Well I would want to mention that the next episode of productivity will be coming soon. Meanwhile, leave your comments below and use the reactions and share buttons on this page.